Which Companies Use Keratin In Their Products? I know I’m not the only one who suffers from frizzy un-tamable hair. Whether it’s an at-home hack or a haircut that will reduce my Hagrid-esque hair, I’m constantly looking for ways to tone my mane down. This was all until I discovered the life-changing uses of keratin. Keratin is the structural building block of your hair that makes it look healthier. 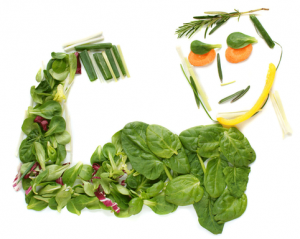 And like with any naturally-occurring protein, adding more to your body can never hurt. Some people swear by supplements, while others head to a salon every three months to get a Keratin treatment. In practicing self-care, one would hope that the extra efforts and dollars doled out to help your hair and body would actually accomplish what they ought to. Keratin is a treatment that will never let you down in that respect. It’s touted as one of those “well-worth-the-price” substances. When purchasing a product that contains keratin you better not just hope for but expect positive results. Among these expectations, keratin is touted for its ability to boost hair health, as well as smooth and add volume to your locks. Keratin smoothes and strengthens hair. Keratin treatment is a popular practice offered in various spas and shampoos. It’s popularity stems from keratin’s ability to smooth hair. The “de-frizzing” powers of keratin give it a buzzword appeal. Different treatments orient toward different hair goals. You can go for the Soft Keratin Treatment which gently takes care of frizz while maintaining healthy curls. If you love your natural hair texture (fine to medium range), but struggle to maintain it without loads of products, this is an ideal treatment. As a result, you’ll have shiny, manageable waves for the two months following the treatment. Another keratin treatment is the Brazilian Keratin Treatment (BKT) and can cost anywhere from $150 to $800, depending on the quality of service. It is not uncommon for spas to claim that their BKT is ‘natural’ and an alternative to the chemically-charged treatments out there. The goal is to eliminate frizz and ultimately straighten out even the fiercest of hair textures. If you’re looking for a way to get hassle-free hair, then a keratin treatment might be the solution. That being said, these ‘miracle treatments’ don’t come without drawbacks. True, their treatments may not contain lye or other chemicals of that nature, but what they don’t mention is formaldehyde. 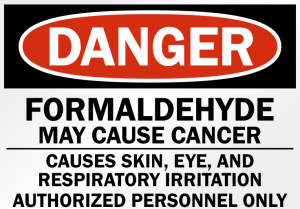 Formaldehyde is labeled as a carcinogen on cancer.gov and condemned by both the International Agency for Research on Cancer and the U.S. Environmental Protection Agency. BKT not only exposes customers to fumes rich in formaldehyde, but also inflicts harmful effects from the chemical breakdown in the months following the treatment. The substance itself is a colorless, potent gas that is hazardous when inhaled or put on the skin. Therefore, the feel-good keratin treatment has the potential to bring more harm than help. The problem is that the treatment is popularized by the media to the extent that many innocent customers don’t even know what they’re getting into. Botanical Keratin works in a way where the large keratin molecules coat the cuticle in order to saturate the hair in a natural manner. 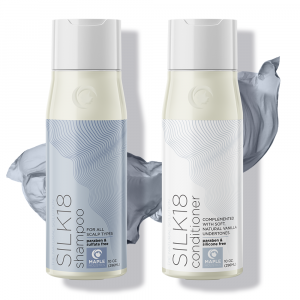 Using a keratin safe shampoo or keratin conditioner is therefore the most effective way to achieve long-term frizz-protection without the harmful side effects of alternative treatments. Despite the dangers of keratin treatments as a whole, keratin itself holds its own importance. Give your hair and body the essential building blocks they need! Whether your face is framed by bouncy curls, silky straight locks, or thick waves, keratin will always be your hair’s friend. Keratin oil holds the power to keep your hair shiny and smooth, so wave goodbye to unwanted frizz. In fact, this ingredient will even protect your hair against heat damage from straightening or blow drying. 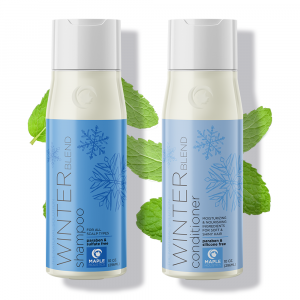 The seasons can also take their toll on your hair, specifically in drying out the ends, so let keratin work its magic to protect and condition damaged hair. It’s important to note that before we’ve even used a keratin-based hair product our hair fiber is already made up of 91% keratin. The food we eat and nutrients that our body absorb all have a part to play in our hair’s composition. Applying keratin to your hair provides the protein necessary for your hair to grow in both length and strength. The 19 amino acids from this hair healer work to improve the cohesion of hair cells. The treatment soaks into the hair shaft to empower your tresses from the core. Promoting hair strength not only keeps it looking pretty and healthy, but also prevents damage to allow for longer growth. If you build a Lego tower, and then add more pieces to the top of the tower, it will inevitably grow. Adding more building blocks by definition increases the size of the existing structure. Similarly, coating your hair in its essential amino acids will inevitably promote the growth and strength of the existing strand. If you’re looking for a way to rehydrate and liven up dry or lifeless hair then you’ve come to the right place. Maple Holistics carries a line of shampoos in which every single formula is enriched with the keratin your hair needs to be its most beautiful, nourished self. 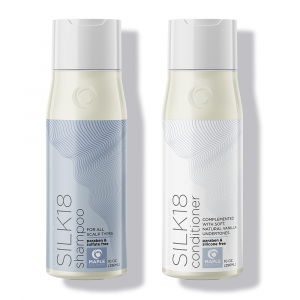 The products also contain botanical keratin as an additional benefit for those wishing to enhance their hair texture. Whether you’re looking for a simple, nutritious wash or an in-depth hair treatment, Maple Holistics covers all the bases. You’ll get that frizz-free softness that your luscious locks deserve, in shampoo! If you want to come back from your week off with glowing locks, check out the TRESemmé 7 Day Smooth System. The keratin treatment nourishes hair from within leaving it fuller and shinier. It also has the added perk of addressing heat damage from styling. 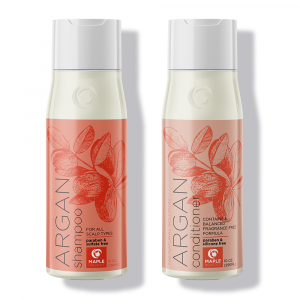 This product not only reduces frizz, but also protects against threats to hair health for up to 7 days. If you want a hair style that stays sleek all week, TRESemme’s 7 Day Smooth System might be the place to start. 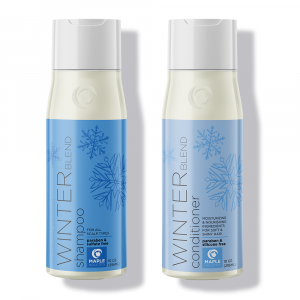 You’ll have thick, luscious locks that are heat protected from the get-go. Heal your hair from the inside-out with this line of shampoos. 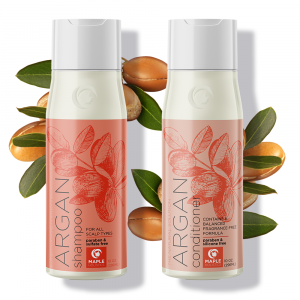 The amino acids will empower your hair from its core while fusing together the surface of each strand. Switching out your shampoo for this healthy alternative will yield noticeable results. Keranique not only promises to help your hair regrow fuller but also to protect it while styling. You’ll have a long-term solution to that thinned-out frizz and a healthier head of hair overall. Expect compliments on your hair’s fullness, thickness, and strength. Flip your thick hair confidently with Keranique. 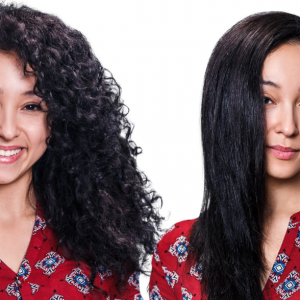 Any type of hair will benefit from the “wonderful” pre-wash treatment this company makes. The product is chock full of keratin to build up your hair, heal damage, and empower stronger strands. If you’re looking for a way to give hair some added strength and shine, then this pre-wash treatment is the what you need. Before you’ve even stepped in the shower your hair will have that added protein boost. This pre-wash option gives your hair the ability to live as its fullest self. That being said, make sure to only use it every other week to avoid overloading the hair. Whether you’re rocking your natural hue or switching it up, the Keratin Color Care from this company is your all-around savior. The product gently cleanses colored hair while soothing and protecting your hair from any damage resulting from all that style exploration. Don’t hold yourself back from trying out new, wild looks – hair health no longer has to be a restricting factor to this self-expression. The Keratin Complex Keratin Color Care shampoo is your go-to keratin-kick if your hair is in any way treated or styled. When push comes to shove, keratin is essential for your hair to thrive. Just like you pack in the protein to build muscle, you also need to provide your hair what it needs to be its strongest self. Luckily, because of the fact that keratin is the absolute foundation of hair health, products containing it are not hard to find. Keratin oil is exactly what you need if your hair is looking a little lackluster and missing its shine. Whether it’s our all-natural Maple Holistics shampoos with botanical keratin or a bi-monthly pre-wash treatment, there’s a keratin solution waiting for you. If you’re really looking for a dramatic change you could always opt for a full-blown keratin treatment to tame your frizzy mane. That being said, before you get ahead of yourself just check the ingredients on the shampoo you’re currently using – I wouldn’t be surprised to see keratin on the label! Just make sure that it contains keratin without any hint of formaldehyde and you’re good to go. Bonus points if you’ve got a few essential oils tossed into the mix! You’ll have shiny, full locks that are nourished from the inside-out. Thanks for popping by! Check out the latest hair care treatments here at Maple Holistics!